"What? Veronica Darling is back again bothering us with another blog post so soon?" Yes my dear darling, I am, and I've brought you some 'behind the scenes' of our 'renovation'. LOL: we're not really renovating, just aesthetically doing stuff to the walls and floors, because guess what? We've spent all our HARD EARNED CASH on buying the darn house, so will forever live with that oven (split into two) above and the darling little sink that's perfect for my height. Discovering that someone had painted over the (not so pretty) wallpaper long ago. 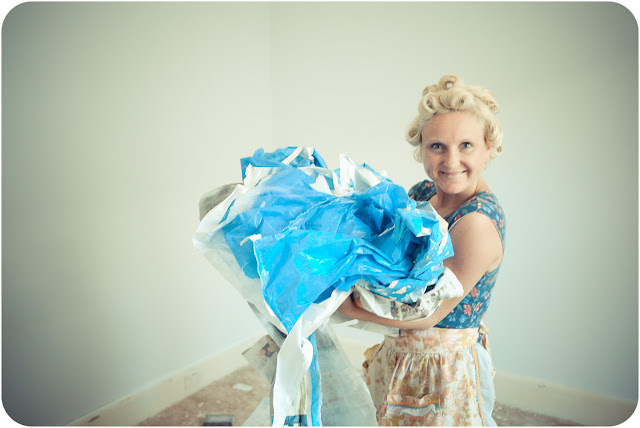 Filling in all the lovely holes that were found underneath the wallpaper, and by lovely I mean thousands! AND then painting all the lovely walls! I was VERY good at making nachos and watering the plants while the above was happening. But I did sand the skirting boards and use the putty/filler stuff REALLY well and often. I also 'prepared' the skirting boards for painting by stickytaping newspaper (and reading it) all around. (apart from being generally cheery with all the hard work) was ripping the carpets up and removing the underlay (seen above with those lovely massive stains). Now Christina (I think?) 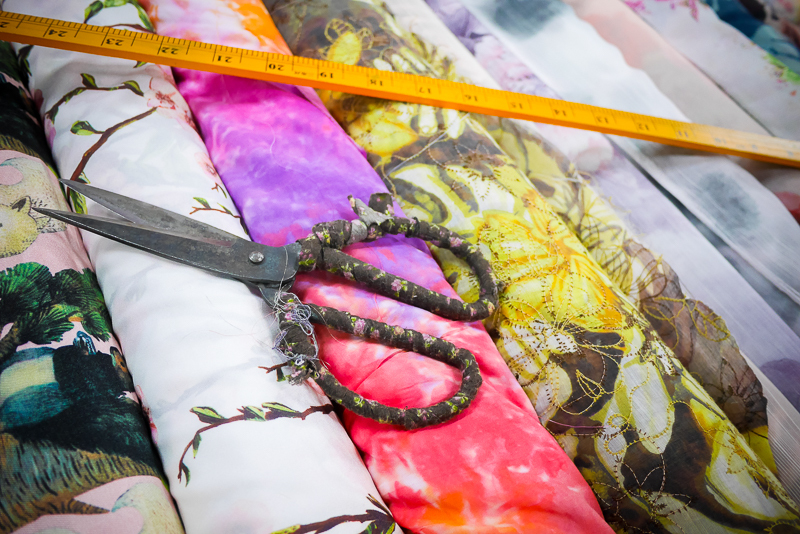 had warned me about Underlay (as I've been noticing a lot of 'renovating' going on in blogworld) and I feel it makes the stuck gloopy bits come up easier if you yell 'UNDERLAY UNDERLAY' out again and again! You really do feel like Speedy Gonzales! Apron: Gift from my lovely friend Amy, it's handmade! Gloves: Gardening gloves from the hardware store. Gas mask: from my father's shed. It looks like a great space - congratulations! Good luck with this! I hate that sort of stuff, but I love the decorating afterwards! It's the wellies that make the outfit for me. They are fantastic! You've all worked so hard! Ripping up carpet and underlay is tough, stinky, and dirty work! Go, Veronica!! Grr! Gorgeous outfit :P I can't wait to see how it looks afterwards. The floorboards look great, I bet they're 100% on the old carpet. Good work, and congrats on your new pad! Love the outfit!! And you both make an awesome team, you're doing a great job! We know how hard the work you're doing is, so hope you can feel the 'help' vibes from us! 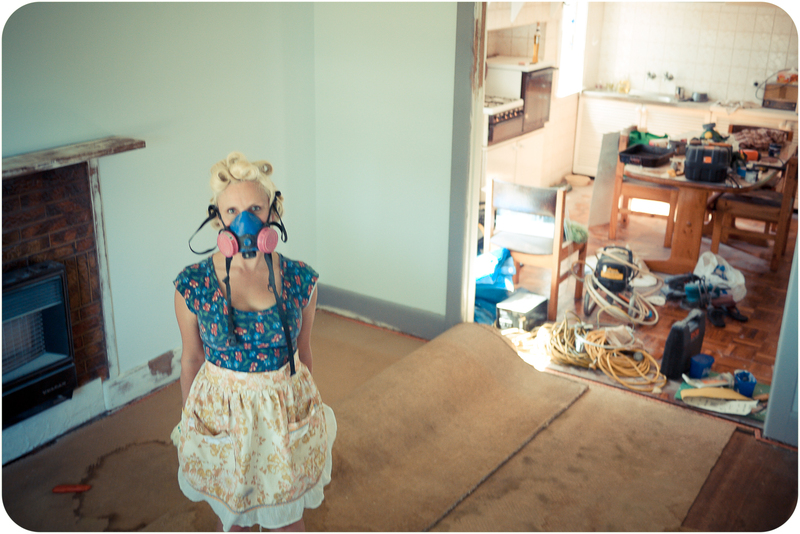 There's not many girls who'd do the job of ripping up carpets, never mind in pincurls and wellies! We have one of those side by side ovens. Your pad looks very similar in style to ours. Holy Moses you're the most glamorous renovator ever! It's good to know you're also prepared for baking, dirty dishes, heavy rain or noxious fumes! Well done you for the DIY approach, I hope there is some/lots of fun amongst the hard work and potential tedium and that it all pays off in the end. Yay for making your house your own with your own four hands (plus any additional helper hands). You look so good for renovation... I probably would be wearing tracks... Happy renovation. I had to re-visit this post. 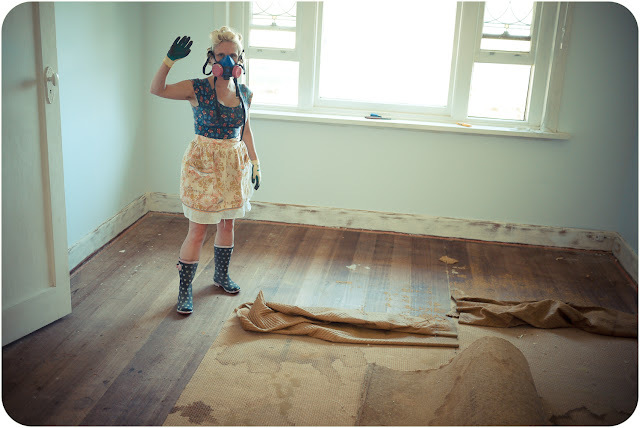 We bought a fixer-upper in Seddon on the weekend and will too be sanding, scraping, painting, carpet pulling and polishing boards...and the rest! And we have a side by side oven too. It's all good fun, though I'm sure I won't be doing any of it in dress! I can't wait to see the renovated house.